Even with everyone currently seemingly obsessed with wearable technology, companies are still banging out new tablets like there’s no tomorrow. Apple isn’t due to refresh its iPad lineup until later this year, but Samsung has today rolled out two new flagship tablets that it hopes will take the iPad Pro to task – if indeed that’s something that ever exists. The Galaxy Tab S comes in two sizes – 8.4-inch and 10.5-inch – and certainly looks the part if you’re after a tablet that looks like it belongs at the top of the pile. 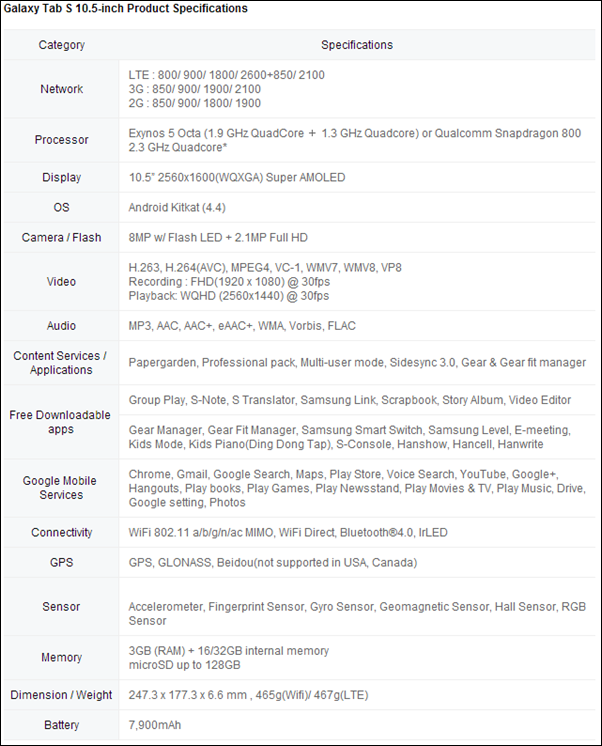 Both tablets come with plenty of features, some of which are rather impressive. 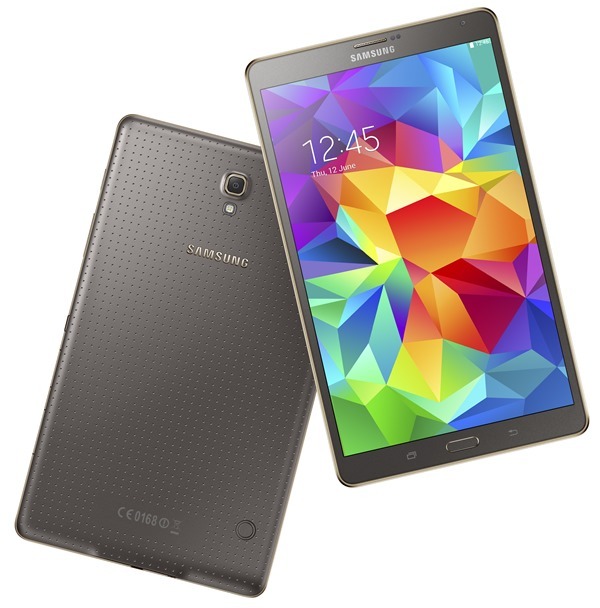 If you pick up a Tab S, you’ll get a WQXGA 2560 x 1600 16:9 Super AMOLED display, which according to Samsung features in excess of 90-percent of Adobe RGB color coverage. That’s a big deal of you’re doing the kind of work that needs accurate color representation. Samsung’s software also changed the display’s output based on what content is being pushed to it, though that can be turned off for those who prefer a little more control. Should the Adaptive Display option stay ticked though, it will take control of sharpness levels, gamma, and color saturation as needed. Neither of the two sized tablets on offer will seem thick or heavy thanks to the 8.4 and the 10.5 each measuring in at 6.6mm in thickness. The smaller weighs just 294 grams, and the larger, 465 grams. 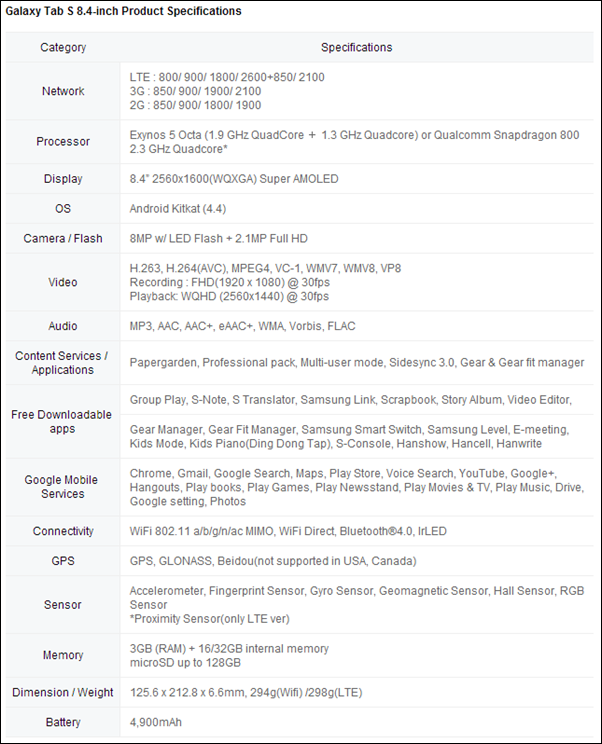 This being a device from Samsung, there is the usual laundry list of features, but two are particularly interesting. The first allows multiple user accounts on one device, meaning a family can share one tablet without having to sign in and out of their different accounts all the time and works by using a fingerprint scanner for authentication. 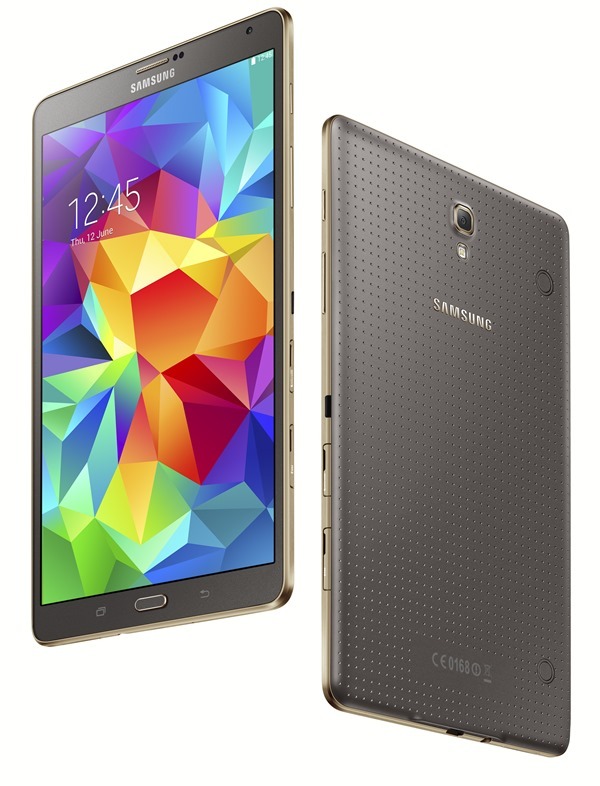 The second is ‘Kid mode’ which is there for those times your tablet is in the hands of your offspring. Brilliant! The Wi-Fi only versions of both sizes go up for pre-order tomorrow, with the Galaxy Tab S 8.4 being set at $399.99 and the Galaxy Tab S 10.5 coming in at $499.99. 3G models will arrive later this year. 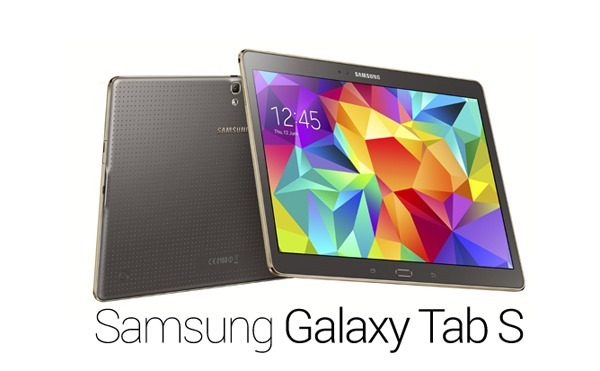 Will you be getting yourself a Galaxy Tab S?